A new estimate suggests that Google will pay more than $ 9 billion this year to remain the default search engine in Apple's Safari browser and possibly much more in 2019. The figure could rise to $ 12 billion next year, according to analyst Rod Hall, quoted by Business insider. In 2017, Google would have paid more than $ 3 billion. Access to Safari on iPhones and iPads is crucial for Google, which generates the majority of its revenue from advertisements. 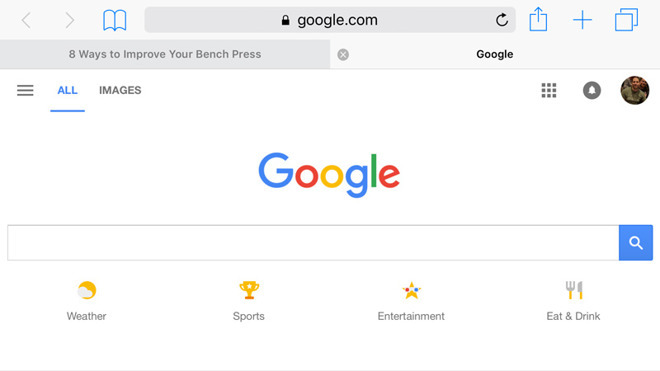 Safari supports Bing, Yahoo or DuckDuckGo for search, but most people stick to the default option as long as it is functional. For Apple, Google's dependence was a boon for the service segment. The company has previously informed the US Securities and Exchange Commission that licensing fees such as Google are the main driver of the segment's growth, even with the popularity of Apple Music. Another factor that keeps Google in place may be the possible kickback of Google. Although much of the engine's popularity comes from a default value, alternatives such as Microsoft's Bing – used in Siri searches – have been criticized for poor results.